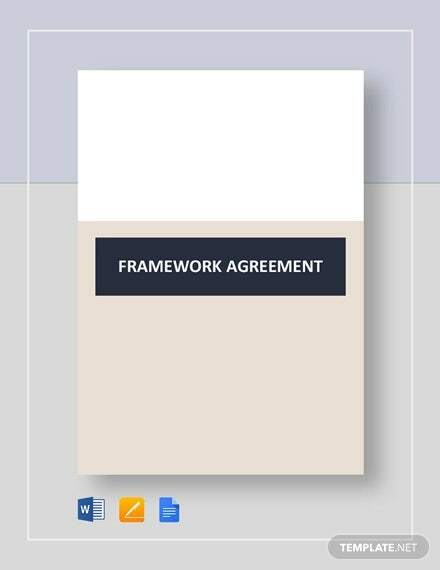 A framework agreement is a document that contextualizes plans agreed upon by contracting parties for further completion and pursuance. This type of agreement could be about anything, be it an exchange of goods, services, and other modes of purchase transactions. Contracts are more advanced than a framework agreement. However, a confidentiality agreement samples may still apply the same way. Agreement writing for frameworks must be precise in a way that it could be subject for acceptance, negotiation, and realization in the long run. 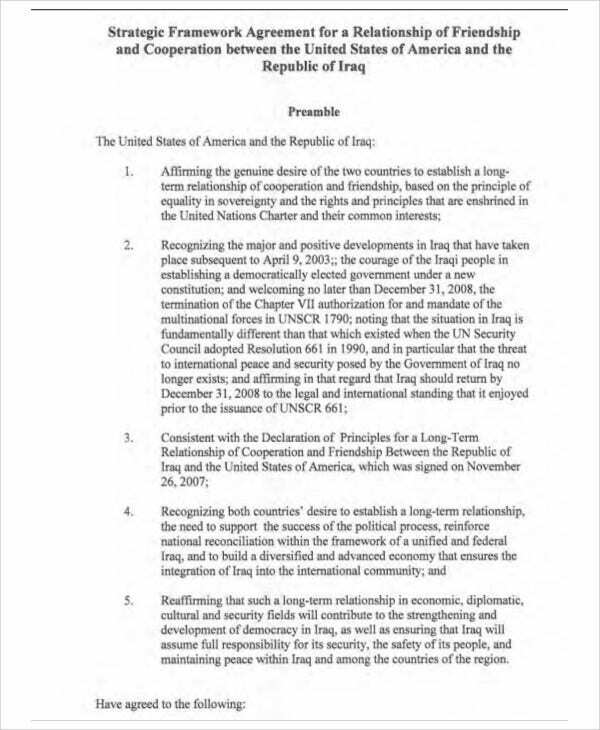 It would only mean that signing into framework agreement gives unspecified stipulations that are yet to be complied with to agreeing parties. 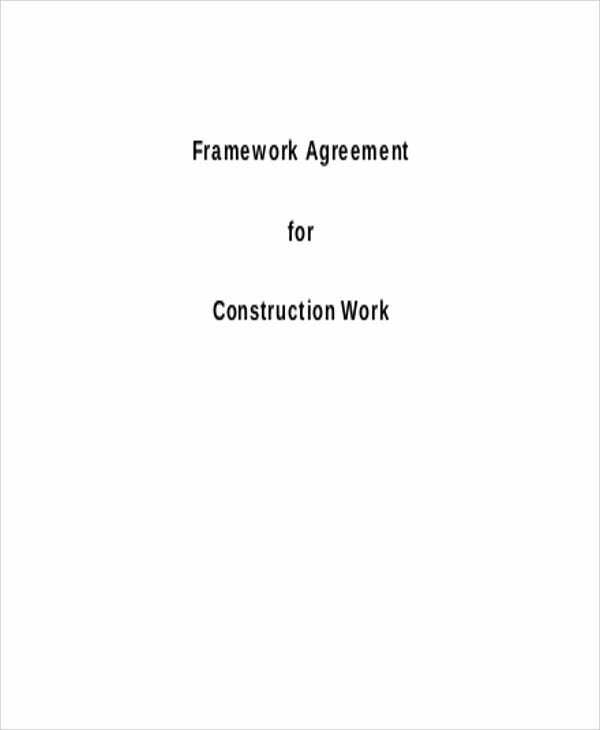 A framework is a plan that may or may not be complied with depending on deliberated decisions of contracting parties. It is provided as a valid document that could either foster or sever ties between contracting parties and business partners most especially. Provisions of possibly realized contracts are efficiently presented through a framework. Furthermore, a framework is subject to cancellation should participating parties agree to so since it is not considered a fixed contract yet. 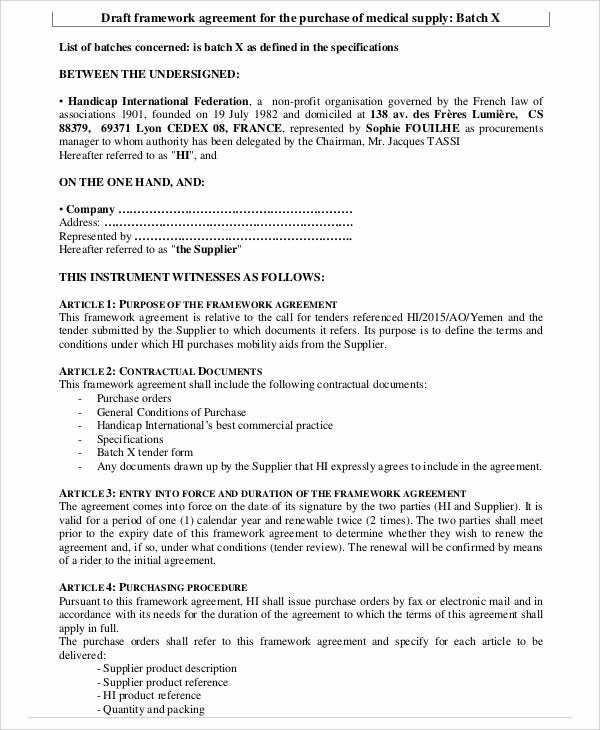 The sample agreement templates on framework agreements provided for you are comprehensively written although its stipulations are still subject to change upon further discussion and deliberate planning. 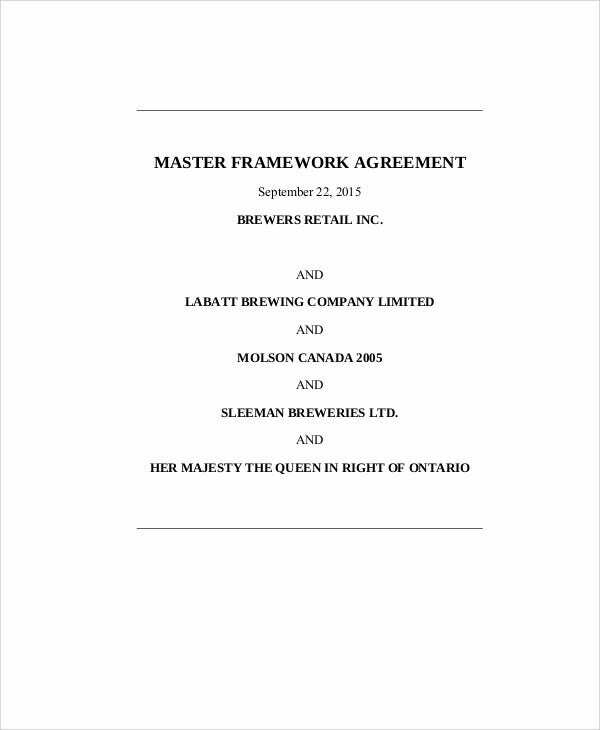 The main purpose of a framework agreement arises for as long as business transactions occur. 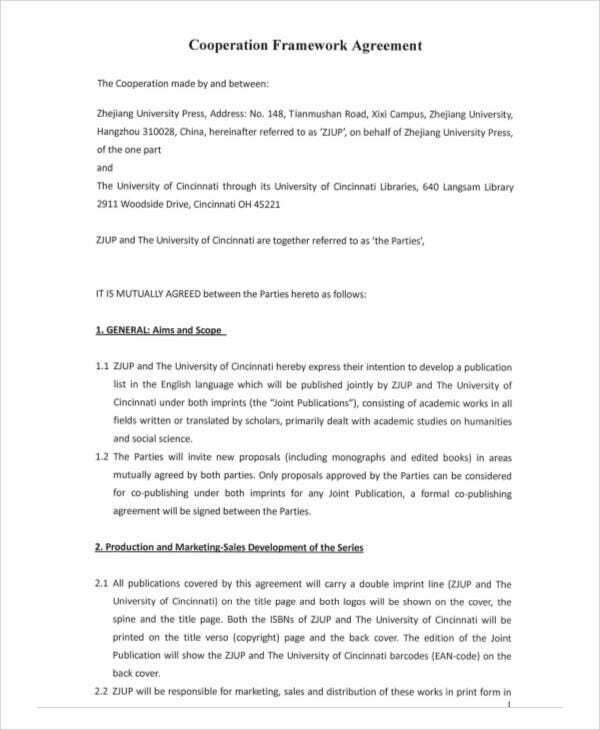 The variation in the format of framework agreement templates in PDF file format correspond to the wide array of different types of business transactions that may need a framework format as well. 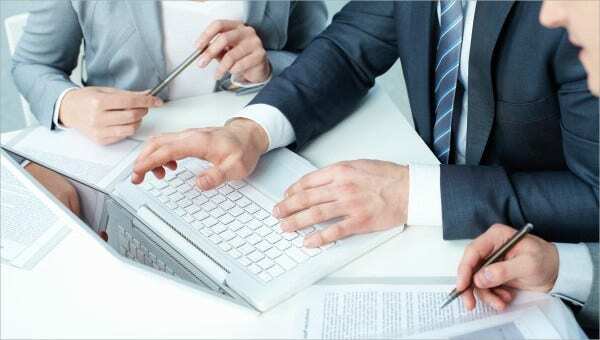 Any type of arrangement for a framework agreement serves it purpose accordingly whether it rests on the idea of making possible business transactions or mere planning long before transactions are fully realized. 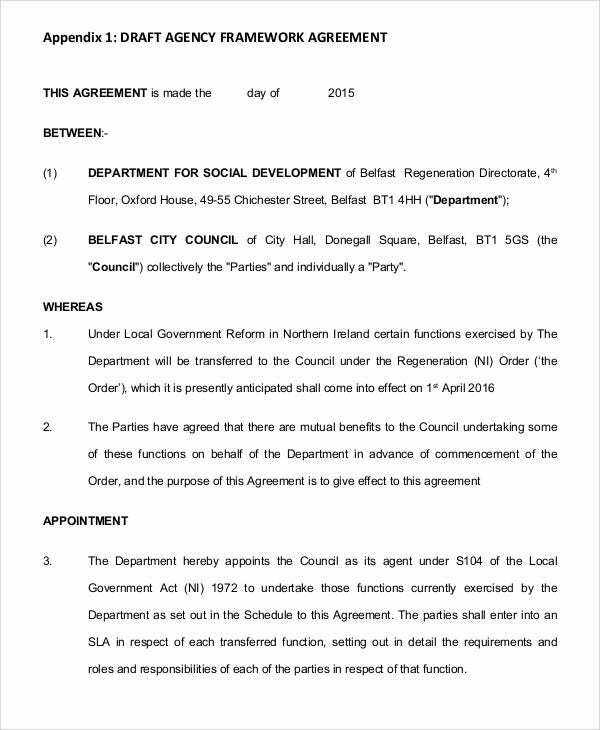 Information needed in settlement agreement templates are similar to that of a framework agreement relying on certain settlements that parties have entered into. 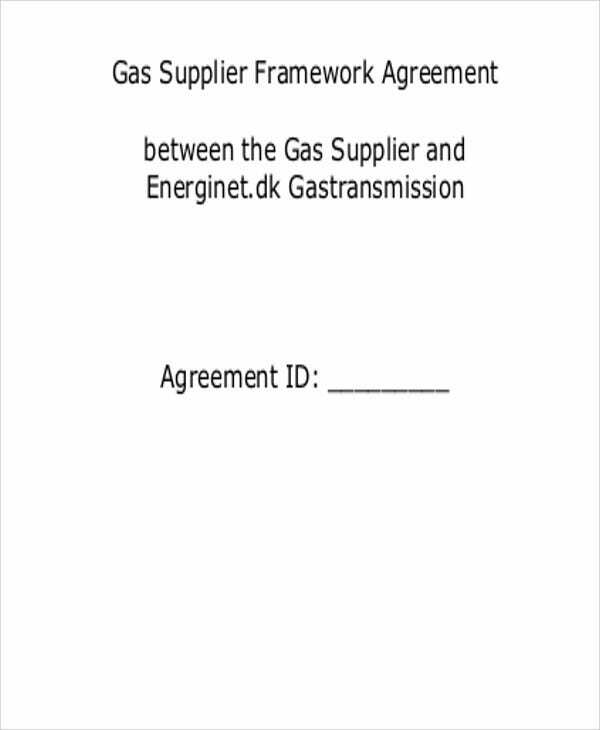 Most people confuse legal contracts with a framework agreement. 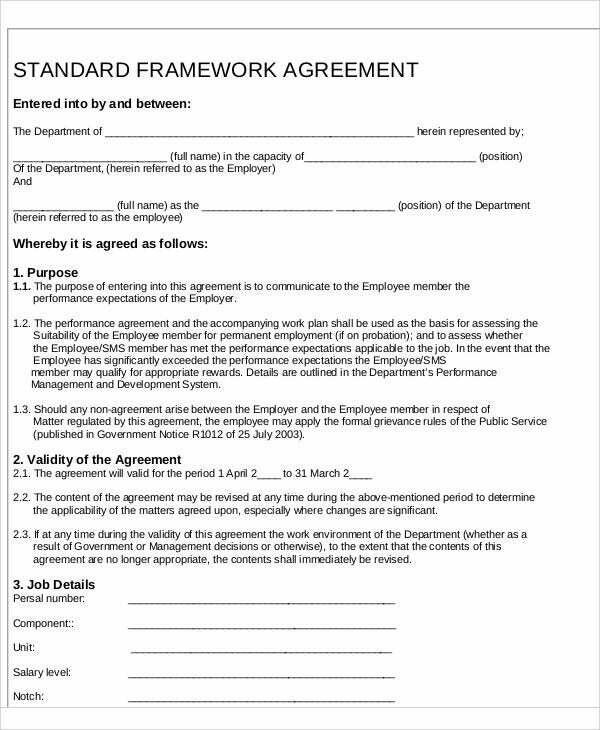 Make it easy to determine a framework agreement from contracts by looking into characteristics that are evident in framework agreements alone. Multiple Parties – Framework agreements can be entered into by multiple parties since there is no official contract binding them despite framework negotiations and transactions. Framework agreement templates in Word are often generated with multiple parties involved. Bidding Advantage – A bidding process is most likely to occur between parties that engage in framework agreements. Bidding may be held between participants determine who among them has the potential to turn the plans in the framework agreement into a contract. Flexible Terms and Conditions – Nothing is final upon the execution of framework agreements. Everything is flexible and subject to constant change for as long as the changes are also agreeable to the parties involved. At the outset of a specific framework agreement, it is possible for parties to make use of purchase agreement templates to fill out as soon as possible purchase terms are made final. Reading through a bulk of documents could confuse you from time to time. Make the above enumeration a checklist for a document to qualify as a framework agreement.